Track and Field is one of the notable sports passions in the British Virgin Islands. Tortolans have represented the BVI in the Olympics in Track and Field. 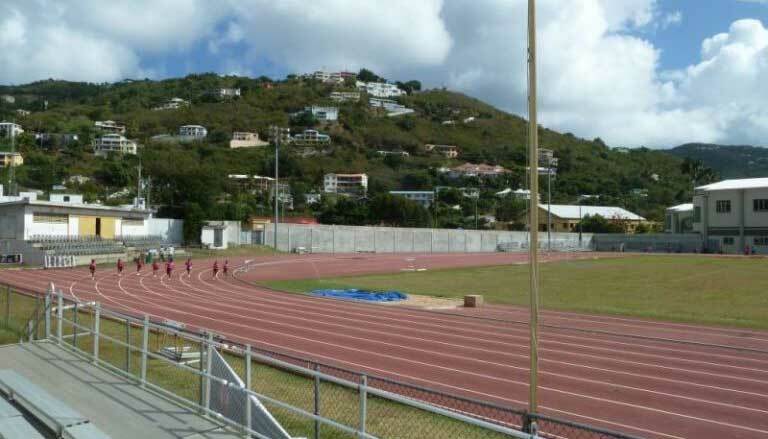 The track at Road Town's A. O. Shirley Recreation Grounds is the Virgin Islands' premier track and is home to the BVI Athletic Association. Meanwhile, Tortolan track and field hurdler Kyron McMaster is becoming an international Track and Field star. McMaster is currently one of the top ranked hurdler in the world and has a chance to be the BVI's first Olympic medalist. McMaster was born in Tortola in 1997 and was a surprise sensation in the World Junior Championships in 2016 when he finished 3rd in the 400 Hurdles. And in April 2017, McMaster ran 48.71 in the 400m hurdles at the Florida Relays - good for second fastest time in the world in 2017. He followed that up in May with a win at the Jamaica Invitational in 47.80, defeating Jamaican champion Jaheel Hyde. McMaster currently ranks 21st overall in the 400m hurdles in All-Access' Men's World Rankings. McMaster attended Central Arizona College in 2015 and will attend the University of Florida in the fall of 2017.